Beach inspired clay sculpture. 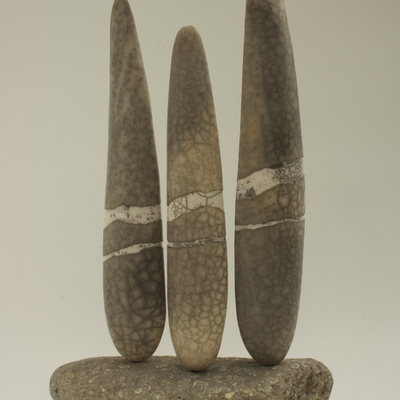 Hand built using coil and slab techniques in a variety of clays, the work explores the combination of fire and clays using earthenware, raku and smoke kiln firings. 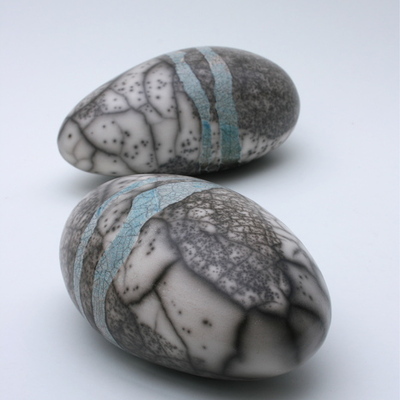 Sally makes ceramic sculpture, experimenting with combinations of clays and kiln firings to capture the essence of the beach scape at Bembridge. By using hand building techniques each piece evolves slowly, enabling it to develop its own character, to become individual while retaining evidence of the maker and reflecting the influences from many other sources, including neolithic artifacts. The technical challenges of working with clay and fire provides endless inspiration. The scale of work ranges from 10cm clay ‘flints’ to 175cm standing forms, with large bowls up to 50cm diameter formed in plaster moulds made from mooring buoys. 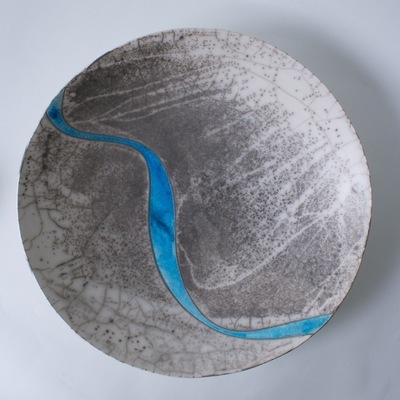 The work is either high fired to 1260ºC or Raku and saggar smoke fired. Sally studied 3D design at Middlesex University 1977-1980. 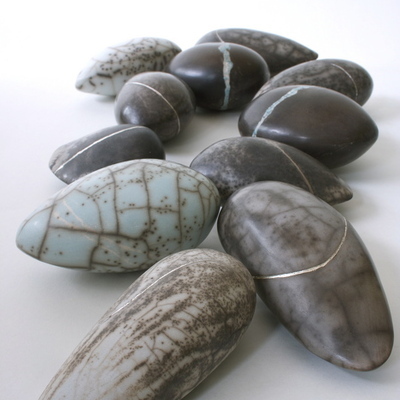 Married and moved to the Isle of Wight in 1981 and worked with clay until starting a family in 1987. She began again in a new studio at her home in Bembridge in 2006 and following a move to West Wight in 2014 now has a converted garage studio and renovated Barn exhibition space in Thorley, Isle of Wight. Solo Show 2009 The Rope Store, Quay Arts , Newport. I.O.W.